PRODUCTIVE POWWOW: Leaning over a table, senior Angela Golota and junior Oliva Wilas sign into a National Art Honors Society meeting. 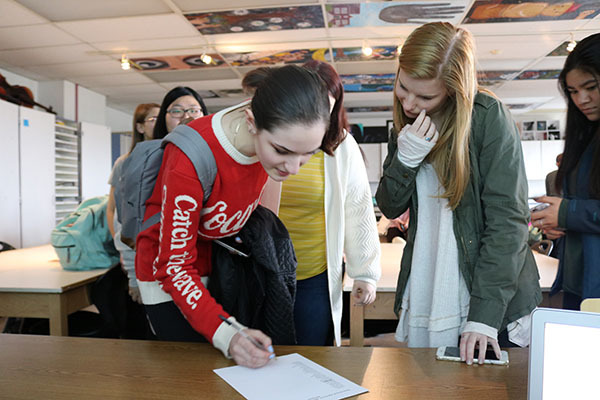 Stephanie Fuja, fine arts teacher, brought a chapter of the National Art Honors Society to South this year to bring attention to art students’ work. A chapter of the National Art Honors Society was implemented at South this year to showcase art students’ excellence in both art and academics, according to Mark Maranto, Fine Arts instructional supervisor. Maranto says the National Art Honors Society was brought to South by Stephanie Fuja, fine arts teacher, who serves as both the sponsor and a member of the chapter. 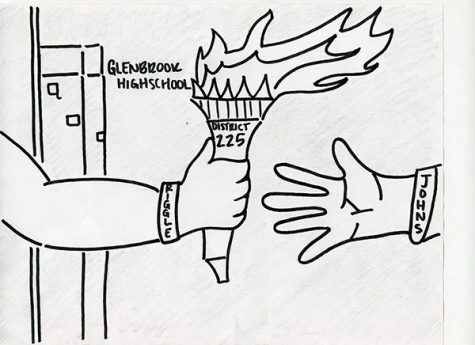 The National Art Honors Society has been at Glenbrook North for about 17-18 years, and it started at GBS to bring symmetry between the two District 225 schools, Maranto says. “It’s an attempt to try to make more equity between the two schools, but also to not disadvantage our art students who don’t have this opportunity whereas if they are going to another high school, they might have it,” Maranto said. According to Fuja, South’s chapter has its own set of bylaws that coincide with the laws on the national level. These bylaws set up requirements for students to fulfill in order to become members of the society, including 16 service hours. Besides being something for students to put on their transcripts and resumes, Fuja says it is an opportunity to give back to the community, as the society is service-oriented. 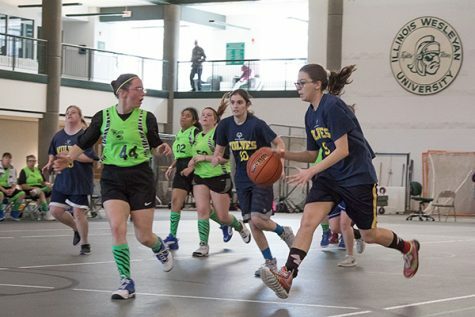 The addition of the National Art Honors Society is not only valuable for the GBS community, but for South’s student artists as it offers them a unique way to showcase their abilities, according to Fuja. Edward Loughran, senior and co-president of the National Art Honors Society, says the organization allows him and other members to advance their involvement in the arts. 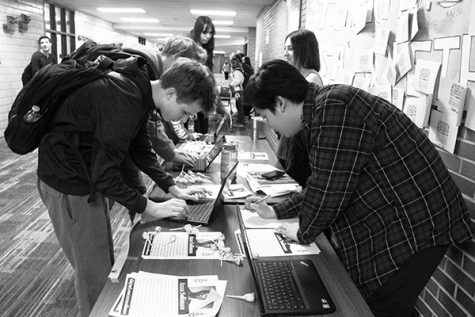 Ultimately, the National Art Honors Society provides students involved in the arts an opportunity to be acknowledged just as other honors societies highlight exceptional students, according to Maranto. “We have National Honors Society here, we have some world language honors societies, so this is an opportunity really for there to be a similar honor society in the art department to recognize the tremendous work that the students do,” Maranto said. Josh Koo, assistant principal of student activities, says that overall, the National Art Honors Society allows art students to be appreciated for the work they do outside of the classroom.